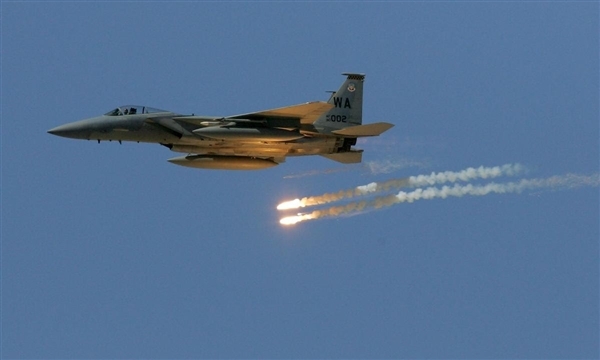 Alsahwa Net- The Saudi-led Arab Coalition has bombed weapon depots in a military camp located in the city of Dhamar. The Houthi-Saleh militias use Dhamar as a military zone to launch its operations against Taiz, Hodeidah, al-Bayda and other areas. According to Reuters, the EU Naval Force said fired rocket-propelled grenades before breaking off their assault on the Marshall Islands-flagged tanker MT MUSKIE in the southern Bab al-Mandab Strait. The tanker is 70,362 tons deadweight. A spokesman for the EU force said the attack did not appear to have been launched by pirates and was likely related to "continuing instability at sea off the coast of Yemen." Vessels near Yemen's southern coast have been attacked in recent months by Houthi militants who are fighting against Yemen's Saudi-backed government in a civil war that has left millions of people starving.